HOW BUSY CAN A GRANDMA GET? Hi All! How busy can a grandma get? Well this Mamaw has been burning the candle at both ends! Lots of heart projects... Denim For Vets, quilts to be completed for my family, beginner quilting classes are in the works... It is great when life is being LIVED! Thanks for hanging in there with me, as sometimes online stuff takes a backseat to real life. 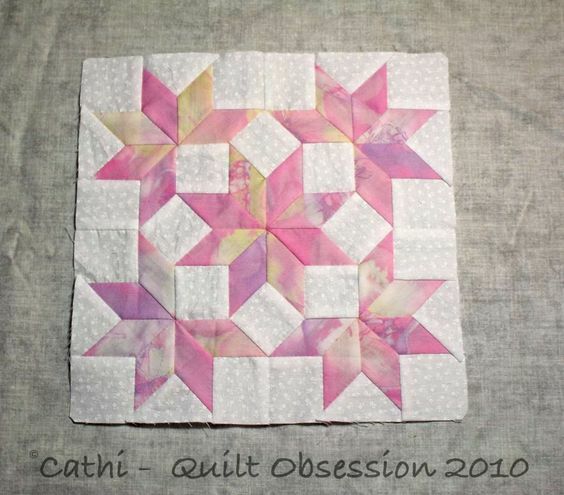 I just completed a handout for those who would like to read about fabric precuts, and also "how many blocks do I need?.... " Bed sizes anymore are suggestive only... LOTS of odd sizes out there! 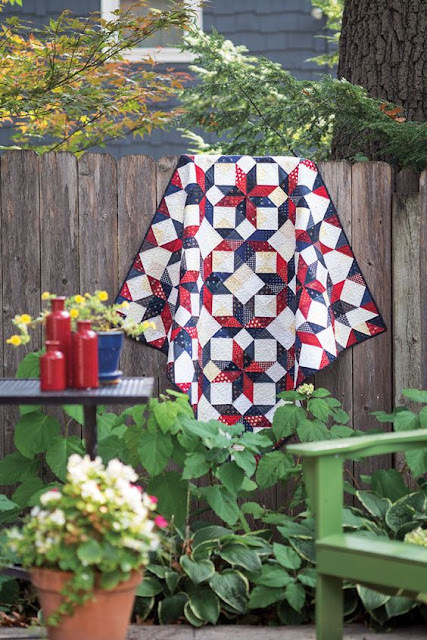 Measure where you want the quilt to go, if you are aiming from a decorating standpoint. I would recommend keeping it 100 inches either way or less. 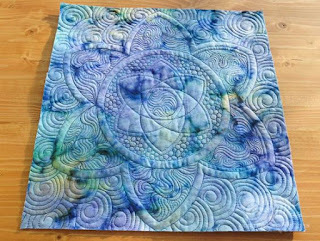 Quilts that big are going to fit just fine on 108" backing, eliminating the need to piece your quilt back. Cost effective and will fit on the long arm frame just fine. 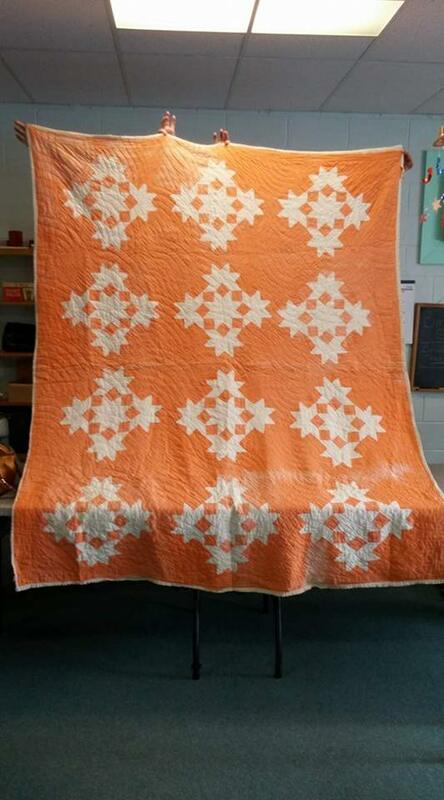 One of our quilting group members shared a gorgeous family heirloom with us last week. Annette wanted to know what the pattern was. We thought perhaps it was something with Lemoyne Star. Seems that the basic part of a pattern is used, and often embellished, then given a totally different name. So out came the reference books. Updated and Modernized version of the quilt. I got very excited when I ran across this one... not exactly the right pattern, but on the right track. 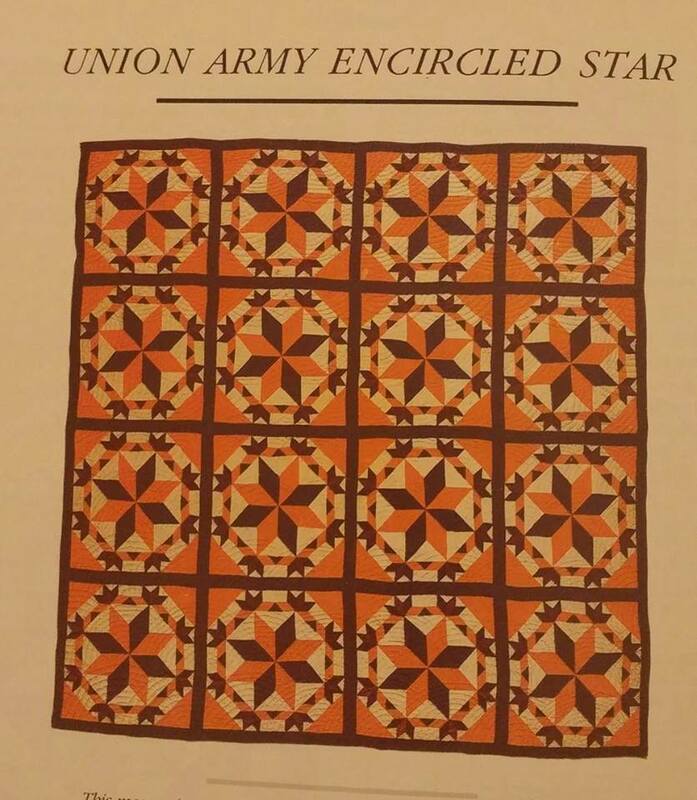 This is circa 1860, made at a "Bee" in the north to raise funds for the Union Cause. After much searching, the pattern was found. 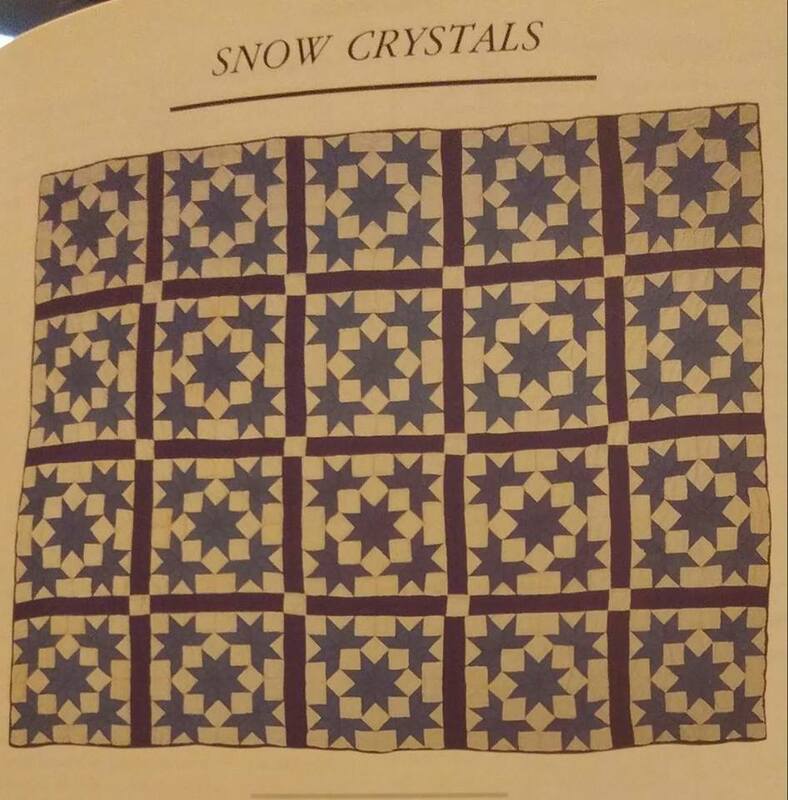 It is called "Snow Crystal"
So.... What is the difference between all these star patterns. 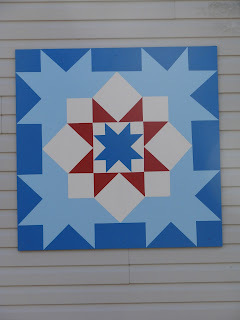 Having just finished a big block quilt with the "Starflower" block, I was curious. Our Starflower was an eight point star done entirely with whole blocks in the corners and in everything else (the star itself) done with half-square triangles. The specific difference in these two types of blocks is that the Lemoyne Star has diamonds and triangles and squares, requiring advanced setting skills and "Y" seams. If you look carefully at the construction of the individual units you can see that the diamonds in one piece are more elongated, and the triangle between each set of star points is considerably shorter than a half-square triangle, requiring the dreaded "Y" seam to connect the units. 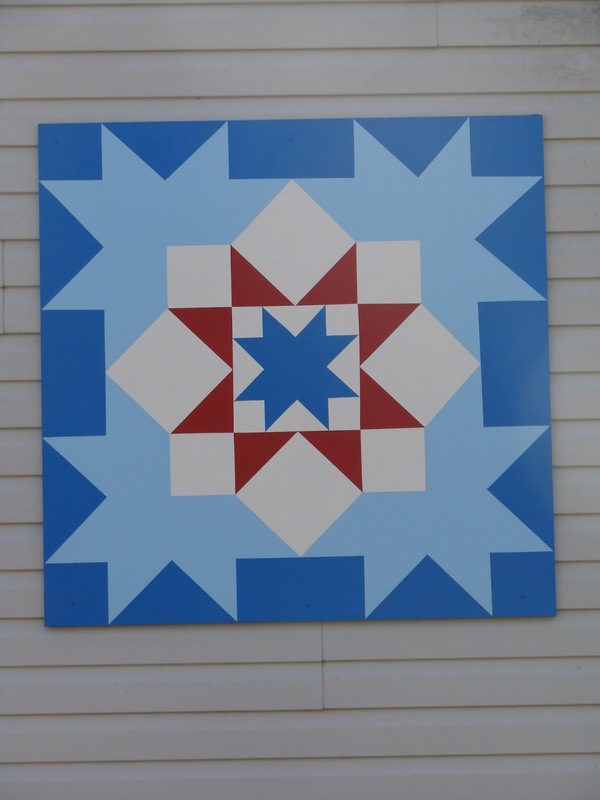 Starflower units of half square triangles are more evenly balanced and require less finesse in the piecing... lending themselves wonderfully to chain piecing and quick construction. So hats off and a toast to the "SNOW CRYSTAL" a peek back in time! 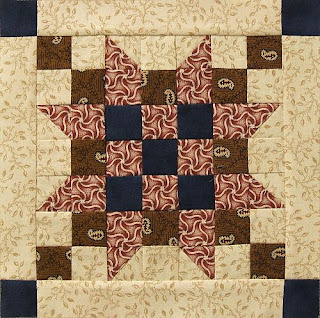 I added "Fantastic Stash Quilts" and "Then and Now Quilts" to my library. I'm thinking they will become dog-eared favorites! Here is the rest of Joyce's display. LOVE the vibrant colors and great staging. Enjoy peeps! I was thinking a pot of tea might be nice... LOL! So fun! Two "Safe Travels"" quilts, different colorways. Just wish my photography could capture how vibrant these colors are... GORGEOUS work. This is a MUST see show each year! Lots of vendors and a fun time visiting with folks who will share your passion for beautiful quilts! Link to my personal "ad free" blog on blogspot! Inviting you to hop over for a view on our way home from the Wenaha Muzzleloader's Rendezvous at Grizz Flats in Troy, Oregon. 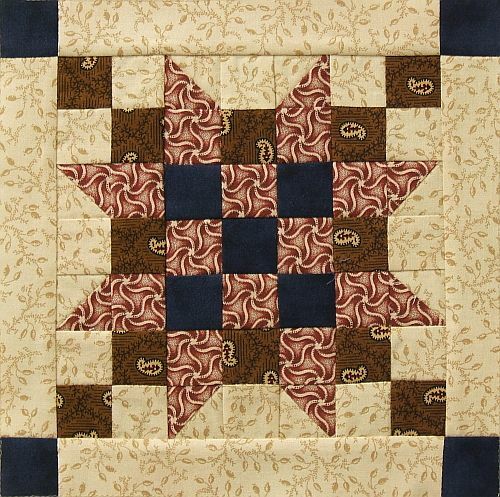 Discussing star quilt blocks today! I will be sharing things as we go along. Today, I wanted to share with you an amazing video. I have a love for vintage machines, and Tim Latimer does an amazing job with his free motion quilting and embroidery on Treadle Machines. Hello to my quilting friends! BlogSpot has been home to my personal blog "Family Cast Iron And Traditions" for a few years now. Our new page will be a work in progress for a little while until I can get things uploaded and ready for action! I will continue to use Facebook. 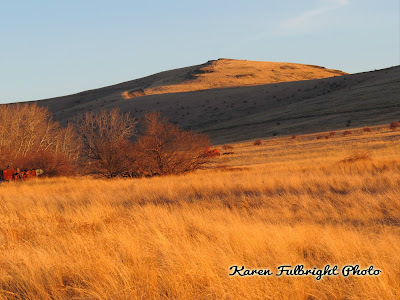 If you will be kind enough to bookmark this blog, we will have backup in case FaceBook acts up or decides to give me grief as they have with another page I admin. Karen Marlene Fulbright. Picture Window theme. Powered by Blogger.